This training is for acting or potential leaders who want to improve their skills and knowledge in the areas of general management, leadership and people management. Terminology. Managerial environment in the organisation. Overview of theories of management and leadership. Recent trends in the requirements of the successful leader. Practical exercises of leadership skills related to socio- psychological and emotional components of influence, motivation and attraction. People management. Formation of behavioural attitude oriented towards employees needs, desires and overcoming of fears. Practice of skills to communicate, take a decision, time management, setting goals and performing an appraisal meeting for feedback. Principles and tools to manage the flow of human resources in the organisation- planning of staffing needs, recruitment and selection, performance evaluation and release. Tools to manage the team in the separate processes. Analysing situations, challenges and alternatives for action in cases of isolation, rejection, lack of motivation, poor performance, conflicts and etc. Attendance form, combins 5-7 seminars, two evening or one daily seminar allocated for exam preparation. Web- based learning with sequential uploading of study materials each week. Two attendance seminars as a preparation for the exam. 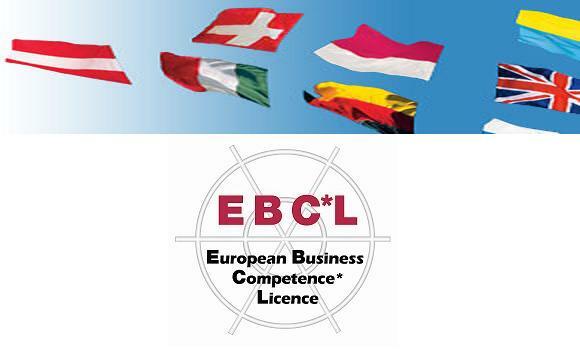 Two written certification exams are conducted at the end of the course to gain the European Business Competence * License level C ‘Leadership and Management Skills’ certificate. The first one- Knowledge and skills for leadership and management- has a duration of 2 hours, the second one- Analysing a practical case- has a duration of 1 hour, both of them should be passed to gain the certificate. 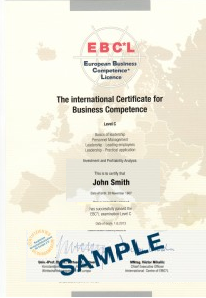 The certificate is issued in Austria by EBC*L International and has a stamp by the Kuratorium for business competences in Paderborn, Germany. Web- based learning in Bulgarian 328BGN, excl. VAT, version in English – 430BGN, excl. VAT. Exam fee – 180 BGN for both exams in Bulgarian language. The course and the exams can be provided in English language- 220 BGN. Study materials, exercises, cases, tests, example test of the exam. Seminars for revision and preparation for the exam. Access to face-to-face seminars or web-based platform for trainees registered in different training forms.